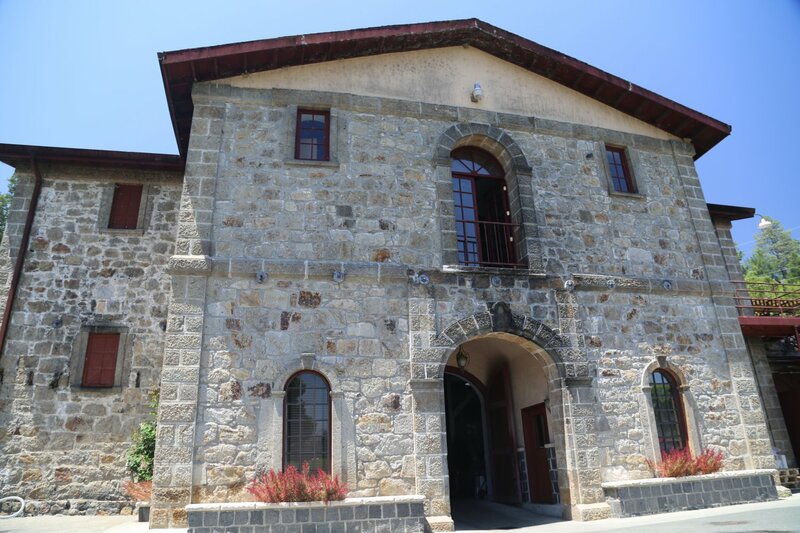 Flora Springs Estate traces its winery heritage back to 1885. Two brothers, James and William Rennie immigrated from Scotland via Australia to the Napa Valley, planted 60 acres of grapes and began construction on their stone gravity flow winery in 1888. The brothers hired Hamden McIntyre who was in part responsible for the Greystone building currently occupied by the Culinary Institute of America and Eschol Winery – now owned by Trefethen Family Vineyards. 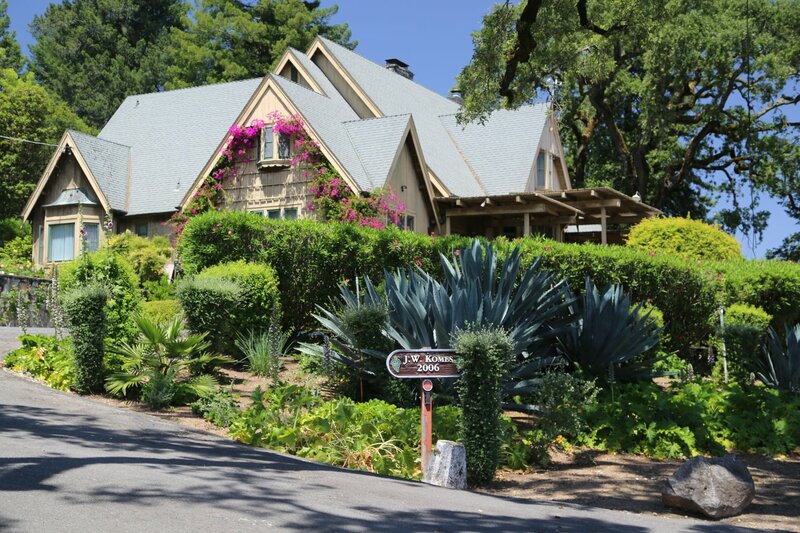 Hamden was the Howard Backen of the times (Howard is a well-respected contemporary architect responsible for some of Napa’s most creative and innovative wineries). 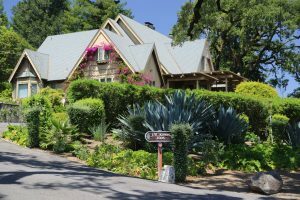 While certainly not the first winery in the valley, their operations were notable because they were the first winery in the state to use a gasoline powered engine to crush the grapes. The Rennie Brothers Winery was completed in 1900. But then two unfortunate situations befuddled the brothers. Soon after finishing the winery, a fire broke out later that year burning their press and all their barrels of wine. 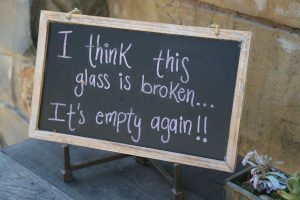 This was a total disaster and coupled with the fact that phylloxera was making its way throughout the Napa Valley – the brothers soon found themselves out of business. The property changed hands several times, closed down during Prohibition and was eventually purchased in 1933, by Louis M Martini and his wife Assunta – the same year he founded Martini Winery in St. Helena. 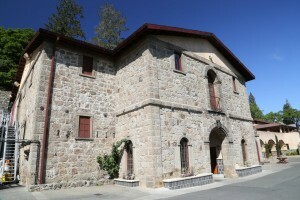 While Martini never used the old winery for wine making (rather it was used for storage and aging wines) he sourced some of the grapes growing on the property at the time for use at Martini Winery. 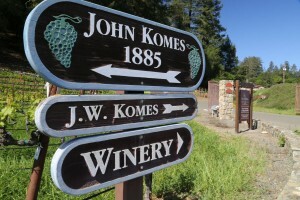 In 1977, the Komes family (Jerry – a former President of Bechtel Corporation and his wife Flora) purchased 325 acres of land from the Martini estate (Louis and Assunta had died several years earlier) including the stone Rennie Brothers Winery and the old Brokehoff Winery (1885) and a home built in 1946 which was at one point was lived in by Louis M. Martini and his family. 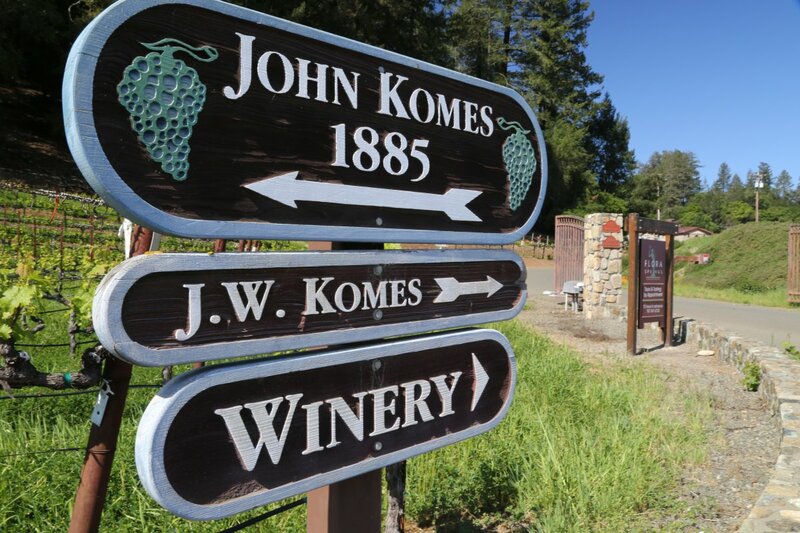 The site of Flora Springs almost would have been in a different location in the valley; the Komes were close to purchasing another winery and property on the Silverado Trail before that deal went through. Incidentally Elton John also put a bid on what is now the Flora Springs Estate at the same time as the Komes. 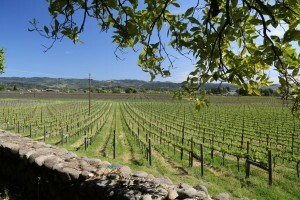 Jerry and Flora planned to use the site as a retirement property and grow and sell grapes. However, their children, John and Julie soon became interested in resurrecting the old winery and producing their own wine. In 1977, the buildings were in bad shape; the Rennie Brothers Winery still had burn marks from the devastating fire 77 years prior and John recalls the roof was falling apart and the floor was still dirt (common in wineries of this era and earlier). John was involved in construction at the time, focusing on building mausoleums in the San Francisco Bay Area. 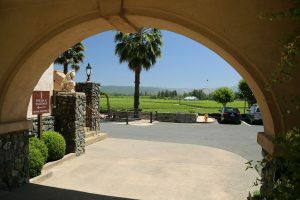 Eventually he moved his construction business to the Napa Valley and over the years built or remodeled some of Napa’s most prominent wineries including Far Niente – along with restoring the stone winery on the Flora Springs property. Those lucky enough to meet John will quickly warm to his engaging and personable character. He is one of the best story tellers in the valley. Despite most likely having told the same stories hundreds of times – he loves watching visitors react to his engaging and usually humorous tales. 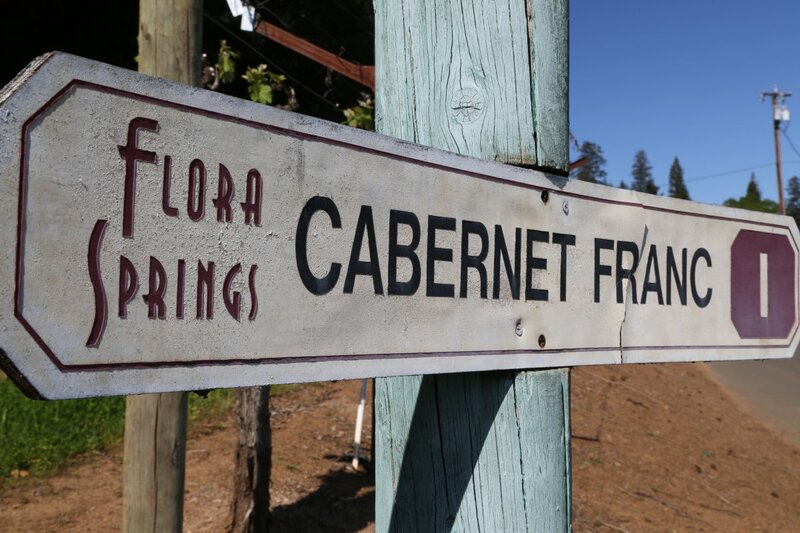 John remembers the first vintage of Flora Springs was merely 100 cases of Cabernet Sauvignon and 100 cases of Chardonnay from 1978. Perhaps for nostalgia sake, John still keeps his first stainless steel fermentation tank from 1978 – a piece of equipment he refers to as R2D2. Old timers may remember Tripoli Market south of St. Helena incidentally one of nearby Sutter Home’s first retail outlets and now the footprint occupied by Dean & Deluca. In 1978 John did not yet have his permits to produce wine on the Flora Springs property – so he ended up storing the wine grapes in freezers at Tripoli Market until he secured the required wine making permits. 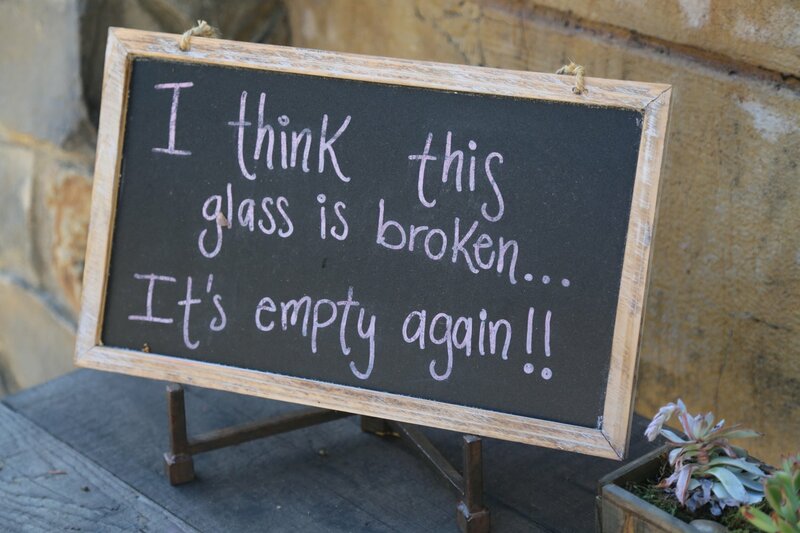 John was the winemaker in 1978; 40 years later he doesn’t speak very highly of his efforts. 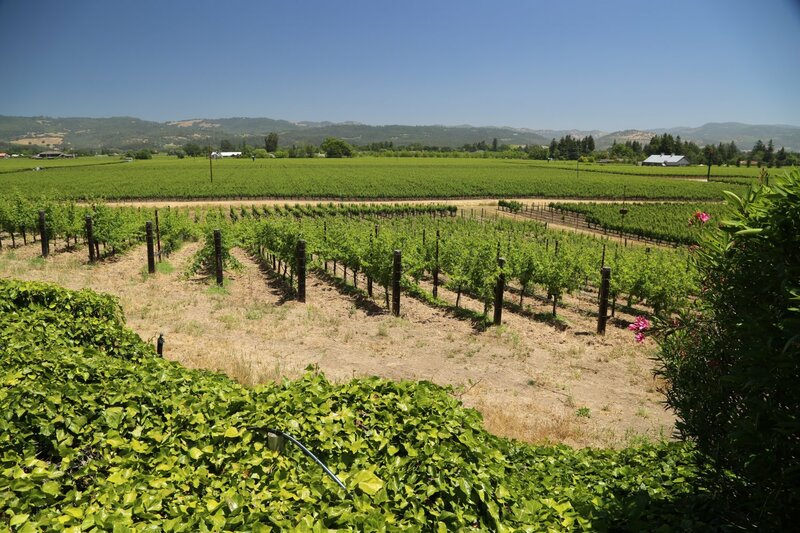 In 1979 along with consulting help from MaryAnn Graf, the first woman to graduate from the viticulture and enology department at UC Davis, Flora Springs produced their next vintage – growing to some 800 cases. They entered the 1979 Flora Springs Chardonnay in the Los Angeles County Fair where it won a gold medal. Gold medals meant more in those days before the equivalent 90+ point scoring system became widely used – at one point their Rutherford Hillside Reserve Cabernet Sauvignon took 7 gold medals from 8 competitions. 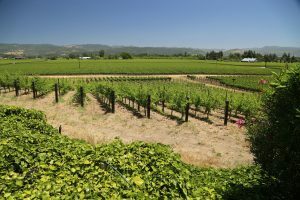 The winery is perched slightly above the valley floor on the lower slopes of the Mayacamas mountains and their vineyards straddle both the Rutherford and St. Helena appellations. 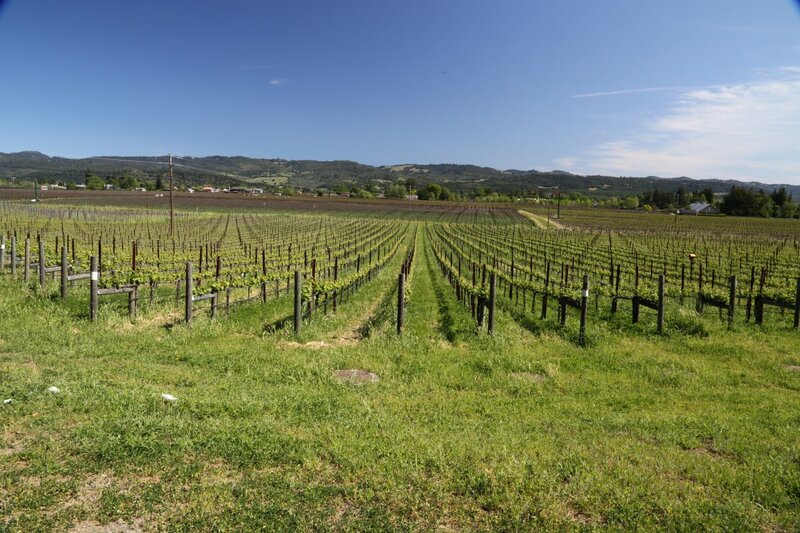 The views on a clear day looking to the east are quintessentially Napa – rows of grapevines stretch out as far as one can see until meeting the slopes of the Vaca mountains. 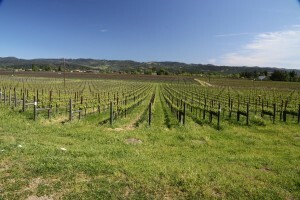 When the Komes purchased the site, the vineyards were planted to varietals not often seen in the Napa Valley today – including Gewürztraminer and Chenin Blanc. 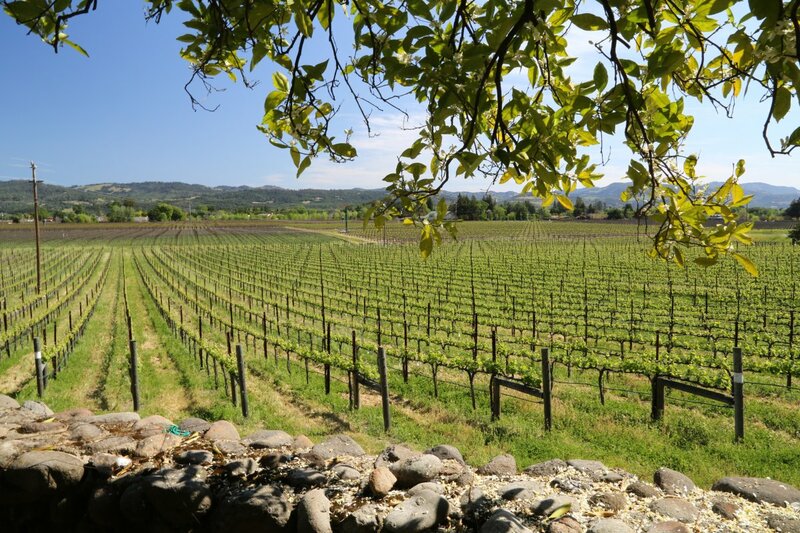 Today they own more then 500 acres throughout the valley of which approximately 450 are planted to vines. 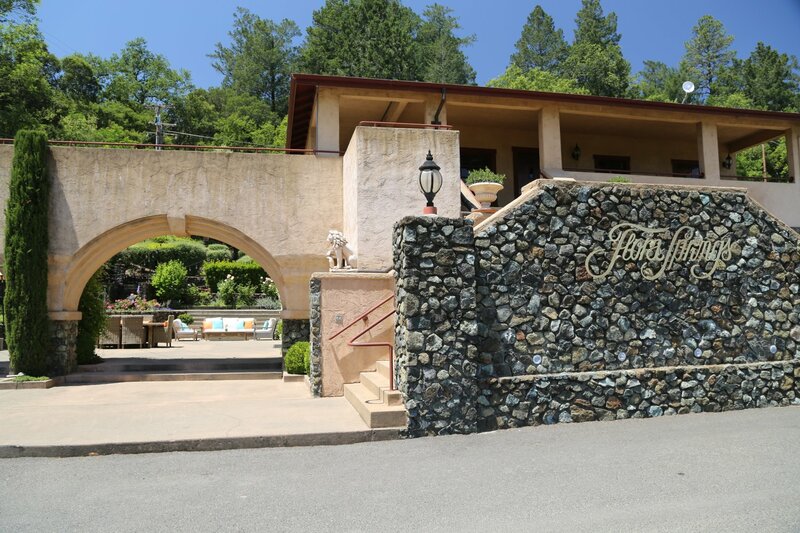 The family named the winery in tribute to Flora (she died a week before her 101st birthday in 2012) and homage to the natural springs found on the property. Visitors (with appointments) turn onto West Zinfandel Lane and drive until reaching the prominent Flora Springs sign arching over their driveway and the bridge. From here turn right and drive up to the parking lot directly in front of the stone winery. A visit includes a tour of their caves. Perhaps there were plans for caves dating from the original winery – in the late 1800’s an archway was built in the winery next to the hillside indicating potential plans for drilling caves. Those plans didn’t come to fruition until 100+ years later when 13,000 square feet of caves were drilled at various intervals in the late 1990’s. Each tunnel bore is named including the longest tunnel – called Route 66. The cave floor differs in elevation slightly – this is conducive for air flow. An oak station is setup in one section of the cave where visitor’s can try the same wine/vintage aged in both American and French oak. It is remarkable the differences in both aromas and flavor between the two wines. This is a unique opportunity to see how types of oak can profoundly effect the characteristics of wine. 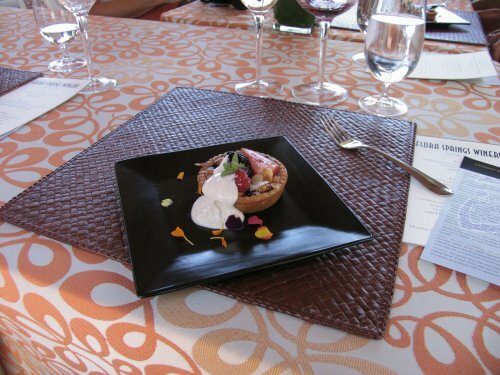 Weather permitting, tastings are held in a courtyard located over the site of an old tennis court. Artistic vines made of steel line the front of the courtyard and beyond those lies the sea of the real vines in all directions. 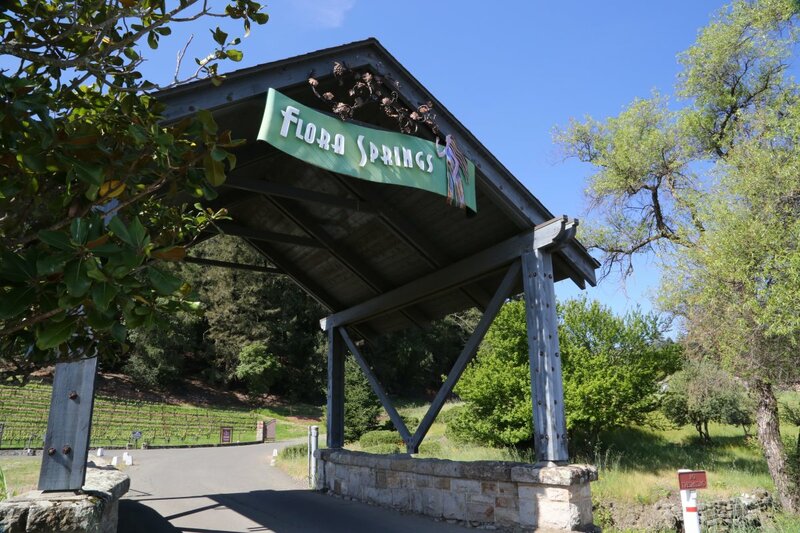 A visit to Flora Springs is one of the valleys best kept secrets. 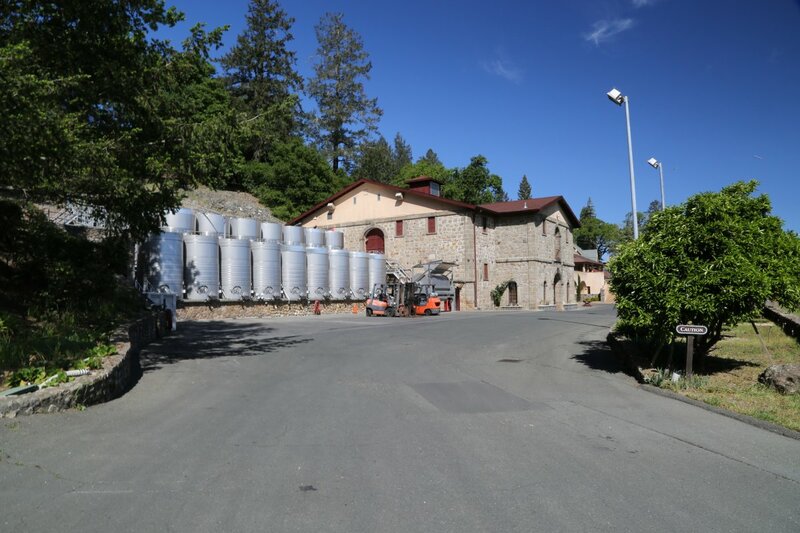 The extensive array of tools the wine making team has at their disposal is impressive – from a variety of coopers, types of oak, toast levels and tank types. 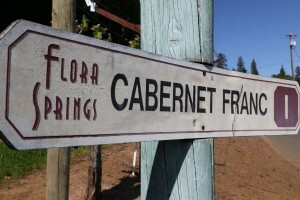 When Flora Springs acquired their property in Oakville they discovered a unique three acre block planted to Sauvignon Blanc. 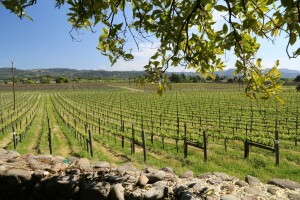 Most wineries would remove this varietal in favor of Cabernet Sauvignon which is the varietal currently most associated with the Oakville Appellation. But Flora Springs noticed gapes from this block made an exceptional wine (without the vegetal characteristics that this varietal is most often known for). However they were unable to genetically identify the clone – and neither was UC Davis. They isolated genetic material from some of the vines in the late 1980s to clean up clone (remove viruses) which was done at UC Davis. This proprietary clone is called Soliloqy (Flora Springs is the only winery in the world to make wine from this particular clone). They also renamed the vineyard to Soliloquy in order to honor this particular clone. For a number of years they produced Soliloquy as its own wine, a 100% varietal Sauvignon Blanc. Starting in 2017 they altered the varietal composition of Soliloquy creating a blend of Soliloquy Sauvignon Blanc, Malvasia Bianca (from Sonoma County) and Chardonnay. 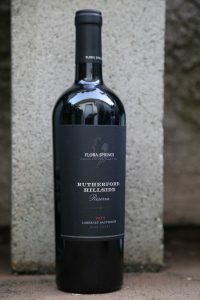 The 2017 Flora Springs Soliloqy (tasted 35 minutes after bottling) shows golden in the glass; it is very aromatic with notes of pineapple and baking spices – as the wine breathes becomes more floral – almost tropical with aromas of honeysuckle and jasmine. One immediately notices the beautiful texture – rounded and slightly creamy but without being heavy. The palate is balanced with an intensity of flavor that lingers for a long time including notes of mandarin and subtle spices on the finish. Excellent acidity. This wine has become the white counterpart to their flagship Trilogy. John calls their Napa Valley Merlot the “mothers wine” referring to a wine they made for his mother for many years and a wine they continue to produce. When Flora was in her 80’s she developed a blood condition requiring a hospital visit every 6 to 8 weeks for platelet work. Feeling great after the hospital visit her condition always worsened in the weeks following. Finally she sat down with her doctor who without knowing her involvement with Flora Springs recommended she take a glass of red wine with her meal every night. Despite being in the wine business, she and Jerry had always enjoyed their nightly martinis. Jerry came to winery and asked John for a recommendation on what wine Flora should try per the doctors recommendation. John sent him home with a case of Merlot – choosing a varietal that would be fairly smooth on the palate for his non-wine drinking mother. The results were surprisingly effective – for the next 4 years Flora no longer needed to go to the hospital for treatments. At one point she switched to drinking Sangiovese and the old symptoms returned. She was hooked on Merlot! The 2015 Napa Valley Merlot is immediately intriguing with its pretty aromas – it has an elegant yet somewhat showy bouquet with notes of blackberry, dark cherry and hints of cedar box. More red fruit shows on the palate then dark – one quickly notices the fine texture of the tannins – they are seamless on the finish lingering softly with notes of baking spices and dust. A very approachable wine young. After a trip to Saint-Émilion in Bordeaux, John was inspired to produced a Bordeaux styled red blend. Their first vintage was 1984, a blend of Cabernet Sauvignon, Cabernet Franc and Merlot. No longer focusing on just these three varietals, today they produce each vintage of Trilogy from the best possible lots each year. Their original philosophy of making this wine was to use equal parts of Cabernet Sauvignon, Cabernet Franc and Merlot. Over the years they realized they could make a better by embracing flexibility. Today this wine is made from no set varietal percentage but from whatever the best lots are from a diversity of vineyard sources (always focusing on using Bordeaux red varietals). The 2015 Flora Springs Trilogy shows a lot of depth on the bouquet with a perceptible sweetness on the bouquet, boysenberry jam, baking spices, bittersweet chocolate and notes of black fig and hints of cedar. Slightly savory. Feels nice on the palate with somewhat dusty well-integrated tannins lingering softy on a pleasing finish. Winemaker Paul Steinauer calls this a “fun wine to make” referring to being able to source from the best blocks in their vineyards and using all the tools he has at his disposal to hand craft this wine. And every early February Flora Springs holds a Trilogy release party – an epic event featuring this wine plus food and music. A gathering of Trilogy enthusiasts if you will. One of John’s stories involved a friend who called him many years ago from nearby Pope Valley very excited as he saw a huge pig on site. He asked John’s permission to kill the animal and John finally relented so his friend drove all the way back to Napa to get his gun and then back up to the property where the big pig was still in the same spot. His friend then killed the animal. About an hour later John received a phone call from one of his neighbors who said “John, what the hell is going on up here, someone just shot my pet pig”. So, one of their wines is now named the Wild Boar Cabernet! 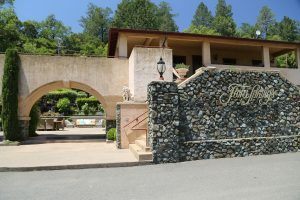 First time visitors first impression of Flora Springs is their tasting room along Highway 29 just south of St. Helena – simply called “The Room”. 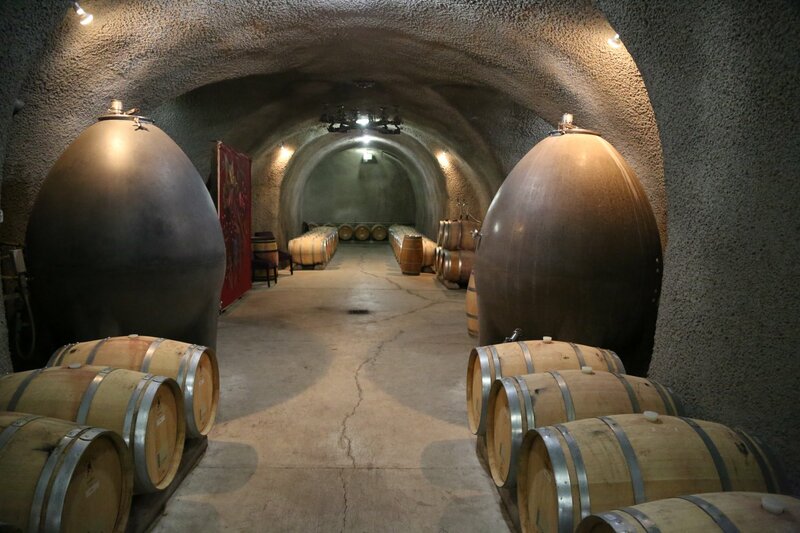 This tasting room certainly stands out for its riveting curvilinear architecture somewhat resembling a cave entrance – and its often seasonally themed exterior decorations. Located only 5 minutes by car from the Flora Springs Estate – visitors to the space do not need appointments.